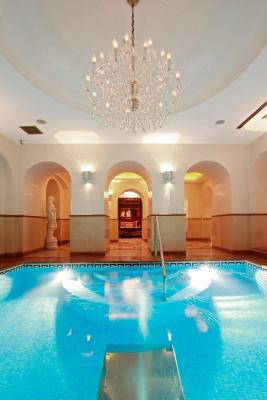 Lock in a great price for Alchymist Grand Hotel and Spa – rated 9.4 by recent guests! I stayed for three nights, the staff is very nice, especially Pavel from the restaurant and Peter. Unfortunately, I had an unpleasant experience with Noour, who is rude and arrogant. I like the concept of living like a king and queen! And i did feel that.. the staffs were very nice and provide great service. Location is superb! Everything was first class. The location premium . The quality of food and service awesome. The hotel is gorgeous and the staff was amazing. Wine and cheese every afternoon from 4-5. We loved everything about this beautiful boutique hotel. Evening dinner with the piano' ist was excellent. Breakfast was okay the service require improvement. SPA was good. Coffee shop service was good. Front desk staff was good. House keeping require improvement. The location - walking distance from everything, but in a quiet spot. Fairy Tale experience. Amazing staff, beautiful hotel, great location, amazing dinner and one of the best massages of my life. The spa is very unique and worth a visit. I don’t usually spend family vacation time in a spa however it was a cold rainy day, what a blessing it turned out to be. The front desk staff and management team were all so accommodating and all the little extra touches made us feel very appreciated. 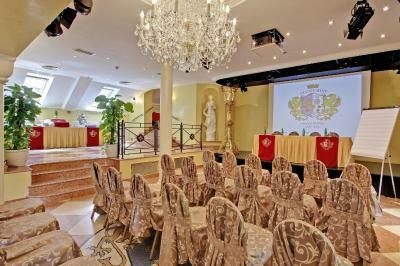 If you want to make your time in Prague special this hotel is the one you want!! 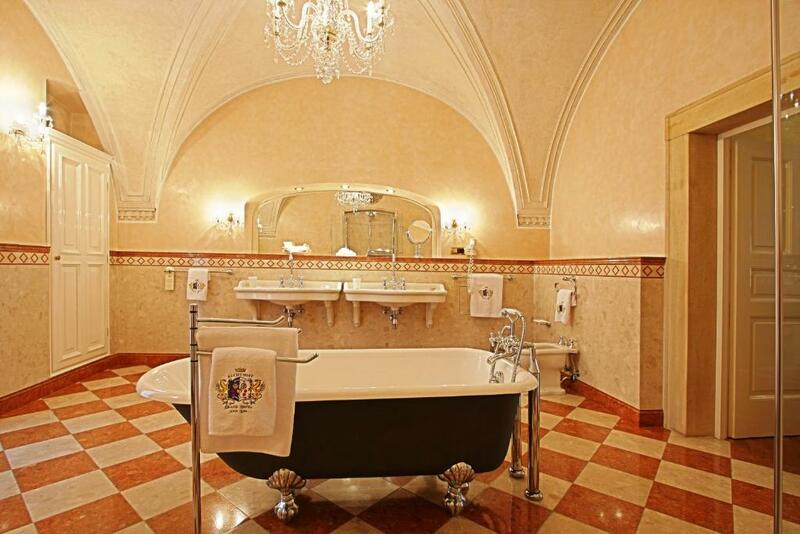 Charming boutique hotel in a great area near the castle. Personal experience, friendliest of service. Room and hotel were beyond beautiful and location our absolute favourite! 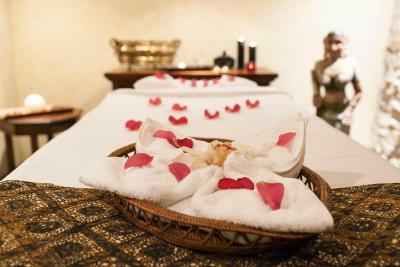 Alchymist Grand Hotel and Spa This rating is a reflection of how the property compares to the industry standard when it comes to price, facilities and services available. It's based on a self-evaluation by the property. Use this rating to help choose your stay! 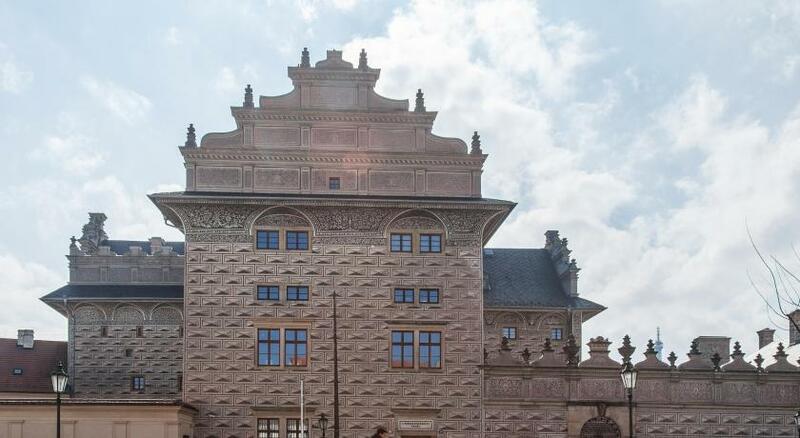 Just 5 minutes' walk away from Charles Bridge, in the most prestigious part of the historical center, the Alchymist Grand Hotel and Spa is housed in a landmark building. Free WiFi is available and the reception is open for 24 hours. Guests can benefit from a complimentary welcome drink. 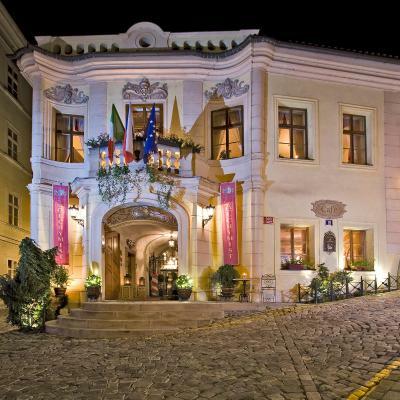 The Alchymist Grand Hotel and Spa can be found in the UNESCO-protected Baroque landmark, the "House at the Infant Jesus", dating back to the 16th century. 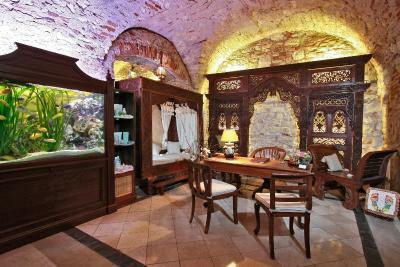 The unique Ecsotica Spa and Health Club in the cellars from the 11th century is accessible for free and offers fitness, sauna, and pool facilities for complete relaxation. Breakfast is served each morning. 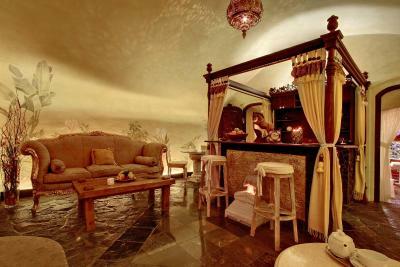 Enjoy complimentary wine and cheese tasting sessions every day, as well as chocolate pralines with turn-down service. 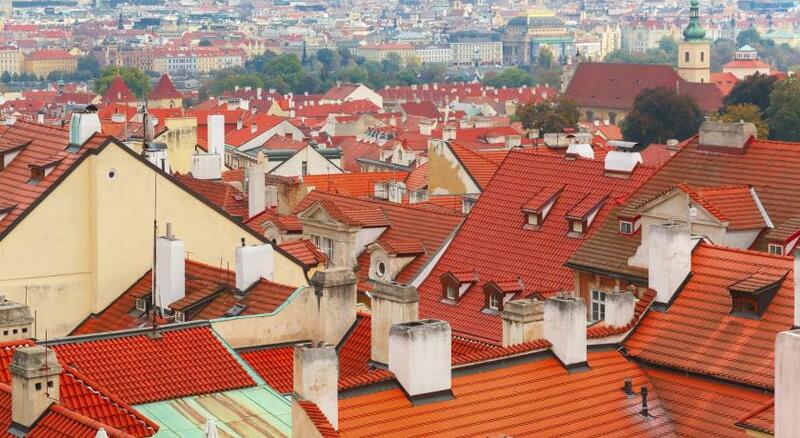 Prague 01 is a great choice for travelers interested in history, architecture and atmosphere. 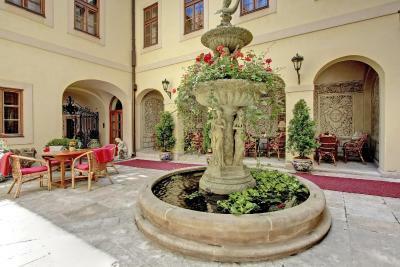 This property also has one of the top-rated locations in Prague! Guests are happier about it compared to other properties in the area. 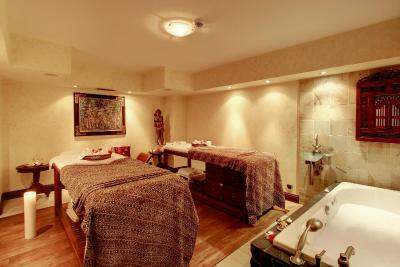 When would you like to stay at Alchymist Grand Hotel and Spa? 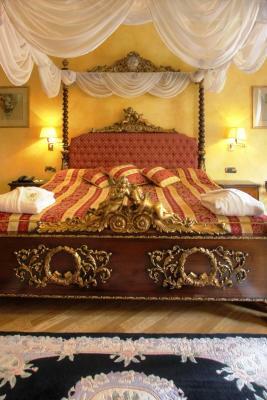 The junior suites has a queen size bed are warmly decorated and vary from 431 to 570 ft² in size. A bottle of mineral water is provided free of charge. Private parking is available on site (reservation is needed) and costs EUR 36 per day. The royal suites are one-bedroom suites with a separate living room, 2 plasma TVs with premium channels and a marble bathroom with shower, bathtub and bidet. The size varies from 556 up to 808 square feet. The Family Rooms spread on 2 levels and consist of 2 separate bedrooms. 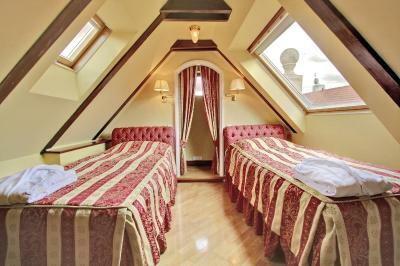 One of the bedrooms has a queen size bed and the other, on the upper floor, is furnished with twin beds. 2 individual bathrooms are provided. Each bedroom has air-conditioning, an LCD TV with premium channels, DVD and CD players, safe, mini-bar and high-speed internet access. 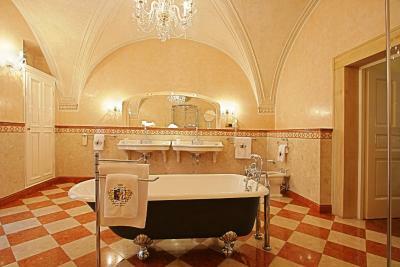 Bathroom is equipped with bathtub with shower, featuring luxury cosmetic products and a hairdryer. 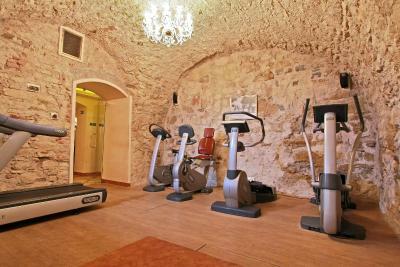 Free entry to the Health club (fitness, sauna, swimming pool) at your disposal. 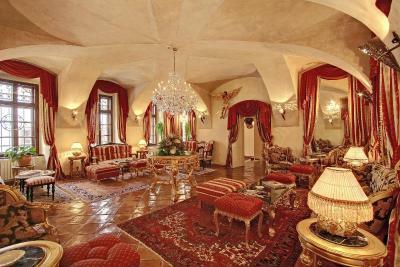 The size of the rooms varies between 237 and 269 ft². They have a queen size bed. Extra beds are not possible in this room type. 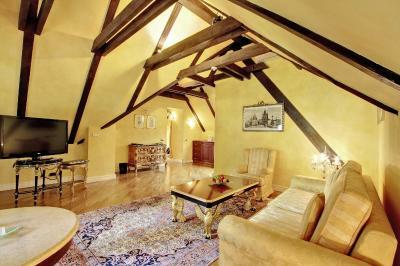 These suites have a sitting area with original wood ceilings that create historic atmosphere. 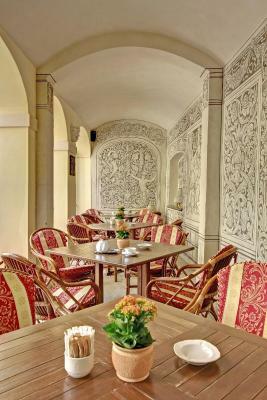 They have spacious bathrooms and beautiful terraces. 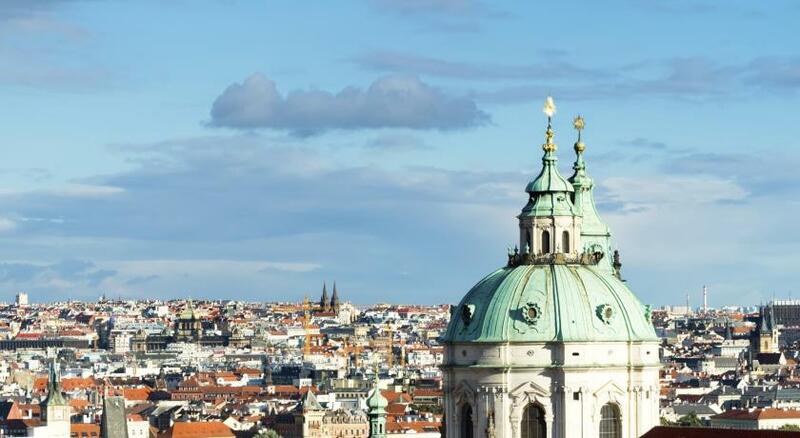 On the top floor, this suite has two bedrooms and enjoys panoramic views of the city of Prague and Saint Nicolas Church and the inner gardens. 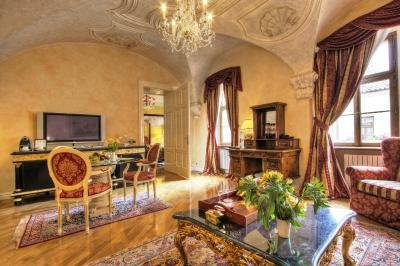 This suite features Baroque ceilings in both the living room and the bedroom. 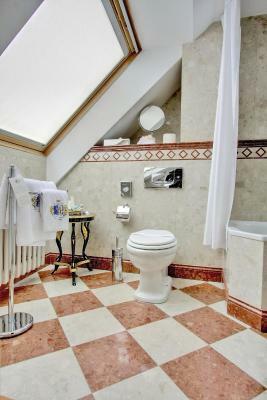 The bedroom features a four-poster, king bed and there is also an Italian balcony overlooking the inner courtyard.The spacious marble bathroom includes a central bathtub and a separate shower as well as underfloor heating. Please note the room type and bed type will be allocated upon check-in. It might be a higher room category, but subject to availability upon arrival. For stays longer than 1 night there is a possibility the hotel might transfer you to another room. Family Room spreads on 2 levels and features 2 separate bedrooms. 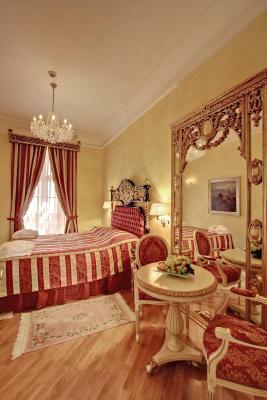 One of the bedrooms has a queen size bed and the other, on the upper floor, is furnished with twin beds. Family Room has 1 bathroom and a kitchenette (fully equipped upon request). Each bedroom has air-conditioning, an LCD TV with premium channels, DVD and CD players, safe, mini-bar and high-speed internet access. 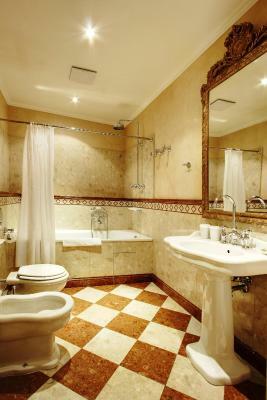 Bathroom is located on the ground floor with luxury cosmetic products and hairdryer. 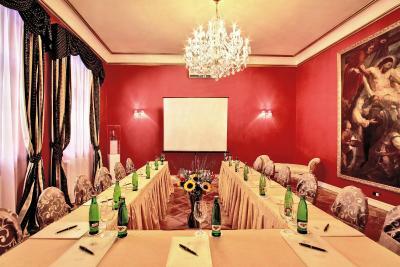 This 5 star boutique hotel is all one could wish for: a downtown Prague hotel with fairy tale charm, with exquisitely furnished deluxe rooms and suites reflecting the historical character of the building. Hotel surroundings – This neighborhood is a great choice for travelers interested in history, architecture and atmosphere – Check location Excellent location – show map Guests loved walking around the neighborhood! 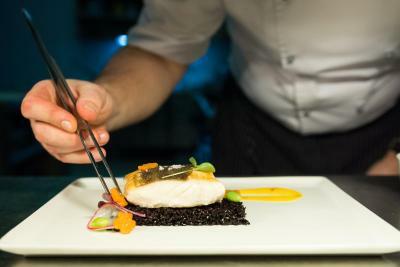 House Rules Alchymist Grand Hotel and Spa takes special requests – add in the next step! Alchymist Grand Hotel and Spa accepts these cards and reserves the right to temporarily hold an amount prior to arrival. In case of bookings in the total amount higher than EUR 2000, the property reserves the right to pre-authorize the amount paid for the first night on your card on the day of booking. Small pets are allowed upon request. 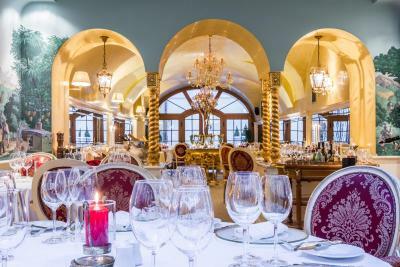 Guests requiring a confirmation for 'visa purposes' should contact Alchymist Grand Hotel and Spa and the hotel will forward it to the relevant embassy. 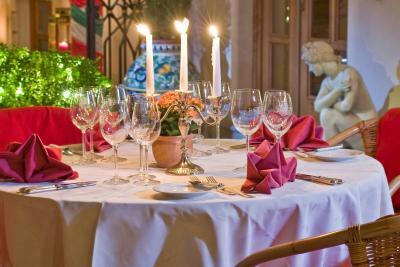 Guests are kindly requested to provide upon check-in the credit card used for the prepayment. We didnt like that, after staying one week at the hotel, using the spa and other services, the hotel was unable to give us a late checkout even if only for one hour. We liked the central location, the building, the beautiful extravagant decoration, the comfort of the hotel and, in particular of the room. Besides the breakfast, we just tried the food of the hotel restaurant once by ordering room service and it was, by far, our best meal in Prague. Amazing food. 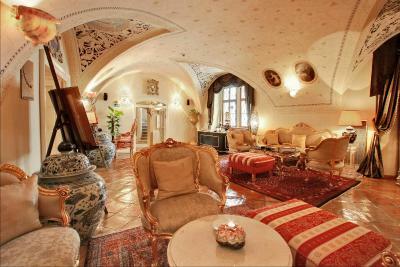 Absolutely gorgeous hotel set in a stunning medieval building dripping with Baroque character and beautiful furnishings. The photos on booking.com do not do it justice. It is stunning! My Highest praise to a wonderfully attentive and genuinely friendly staff who will make your stay memorable, and were incredibly helpful In helping us find our way round this amazing city. 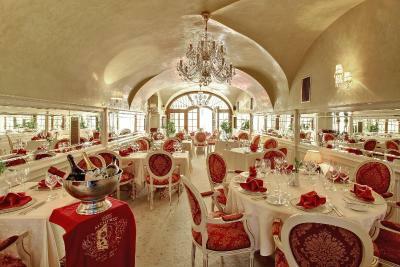 The restaurant was also fantastic, the best food of our 4 day trip was found right in the hotel. We will be back for sure! Thank you! The hostess in the evening,g was very annoying, a little over the top wanting good reviews to Trip Advisor. Giving us her card to make sure we included her name. We wanted to avoid her. Great location. 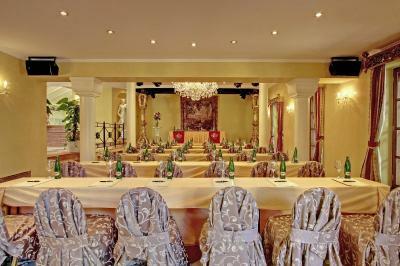 Cozy boutique hotel, makes you believe that fairytales can come true. Spacious clean rooms with very comfortable beds. Breakfast with full variety and they even prepare on spot upon request omelette and/or waffles. Next to everything. 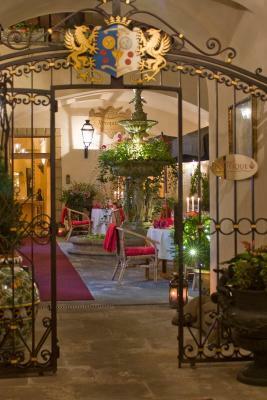 Superb hotel in the most beautiful part of Prague. We were very impressed with the hotel and how they treat their guests. Loved the complementary wine and cheese!